Attaining delegation status with commercial payers is the ultimate way to improve enrollment turnaround time and reduce lost revenue and credentialing delays. During this 90-minute webinar, expert speaker Amy Niehaus, CPMSM, CPCS, MBA, will help listeners identify the benefits of attaining delegation with payers. Participants will learn about the critical steps involved for achieving delegation, as well as the requirements that must be met under National Committee for Quality Assurance (NCQA) credentialing standards. (Live + On Demand) - This program has been approved by the National Association Medical Staff Services for 1.5 continuing education unit(s). Accreditation of this educational program in no way implies endorsement or sponsorship by NAMSS. Ability to claim CEU's will expire on 4/25/19. Amy M. Niehaus, CPMSM, CPCS, MBA, is an independent healthcare consultant with more than 25 years of experience in the medical services and credentialing profession. In her current role, she advises clients in the areas of accreditation, regulatory compliance, credentialing, process simplification and redesign, credentialing technology, credentials verification organization (CVO) development, and delegation. 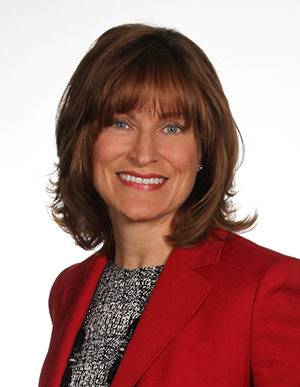 Niehaus has worked in multiple environments throughout her career, including acute care hospitals, CVOs, managed care organizations (MCO), health plans, and consulting firms. She has been a member of the National Association Medical Staff Services (NAMSS) since 1991. She is currently a NAMSS instructor and previously served as chair of the association’s MCO Task Force, as well as chair and member of the NAMSS Education Committee. She is a former president of the Missouri Association Medical Staff Services and its Greater St. Louis Area chapter. Niehaus has been a speaker and educator since 2000, developing and presenting various programs to state and national audiences on credentialing and privileging processes, TJC, NCQA and URAC accreditation standards and survey preparation, CVO certification, provider enrollment, and delegation. She has authored and contributed to a variety of industry-related publications, including NAMSS Synergy, The Greeley Company, Credentialing Resource Center, AHLA MedStaff News, and Becker's Hospital Review. She is the author of the HCPro book Credentialing for Managed Care: Compliant Processes for Health Plans and Delegated Entities.